Osmania University UG 1st, 2nd, 3rd Year 2019 results will be Avalible Now at Manabadi.co.in. Students can check ou UG Revaluation degree 1st year Results, ou degree 2nd year results and ou degree 3rd year results from Manabadi.co.in website directly. 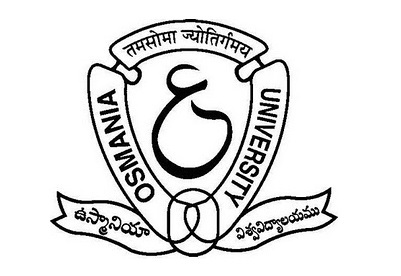 Osmania University,Hyderabad going to release the result of OU UG Revaluation Results on july 21st, Tentative 2019. Candidates can download OU Degree results in official website and Manabadi.co.in. Osmania University is going to announce the UG Degree result 2018 for UG Revaluation degree courses such as B.A, B.com, B.Sc, LLB, BCA, B.Ed, and BBA. It is a responsibility of institute to conduct exams, declare results and give degrees to the students. All those students who have given their exams and are waiting for their results are informed that university is going to announce result for semester exams for a month of December & January after one month of conduction of exams. Browse for "OU Degree Results 2019" Link. Your OU Degree results are displayed. When are degree 2019 revaluation results released? When Degree revaluation results will be released? Sirs when the results will be d.
Successfully completed 2 months. When will the hell exam results will release ou. when will the 5 sem result be d????? Waiting eagerly!!!! BBA 5 semister result from osmania univercity,i am gonna waiting from 2 months still is not , when it will be. Sir, when degree 1st year b.com results will come . sir we are eagerly waiting for tu degree 1sem result. wwhat is the exact result date ? reply me....! Hi please announce ou degree october supply results. ou degree 4th sem ravaluation result date?????? My revaluation result shows completed what does this mean? When are the Degree 1st year 2nd Semester results are out??? Sir , Can we kindly know the results date for OU UG DEGREE SEM 2 2018. When are the degree revaluation results are available. 2ND SEM OU DEGREE RESULTS WHEN RELEASING.